Seahawks Swim Well at Distance Masters Meet! 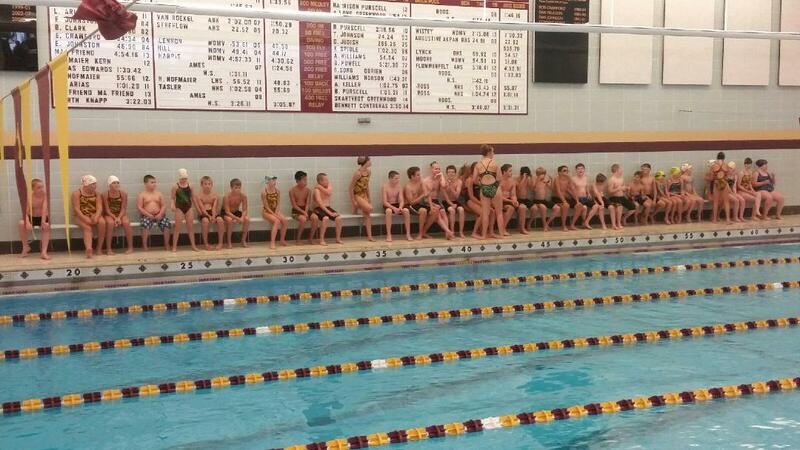 The Seahawks had their annual Distance Masters meet on Monday (12/14). This meet is designed to give Seahawks swimmers the chance to try events that aren’t typically part of club meets and to challenge themselves. An added bonus is that these longer events are also part of the Midwest Regional meet, which means our swimmers have the chance to qualify for additional events. Everyone did great! Several swimmers qualified for the additional Midwest Regionals events and many also improved times over the last club swim meet. Ribbons for this meet are awarded by event and boys and girls swim mixed, just like Sprint Classic meet during the summer. Be sure to check out the full meet results. Below are just a few meet highlights. PJ Jones’s 55.11 time in the 8 & Under 50 Free is a 6 second drop from the last club meet! Matthew Gudenkauf’s 1:56.55 11-12 100 Breaststroke is a nice swim. Emma Chase’s 11-12 100 Breaststroke time of 1:28.03 is less than a second from the Midwest Regionals “Q” time! Winter Break | Dec. 21 – Jan. 3: SDMS will take a two week break from practices. Practice will resume as normal on the evening of January 4th. We hope everyone enjoys break.